The hottest hair trends for the year ahead are likely to be a blast from the past. Mauve rinses, the Princess Di ‘do’ and the Farrah flick, repopularised by Kate Middletn, are all set to make a come back in the year to come. 1. 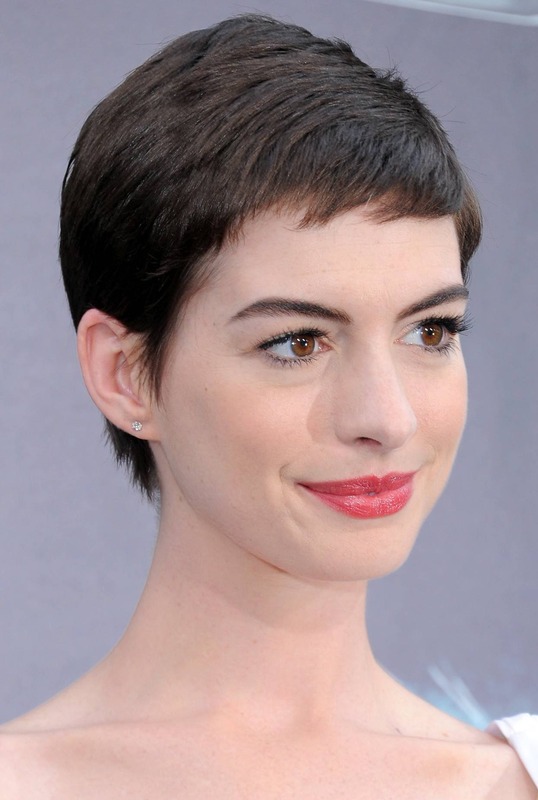 The hottest cut of 2012 was definitely Anne Hathaway’s pixie crop. Rhianna and Audrey Hepburn have also made the gamine look famous. So long as it’s done right, the look is both ladylike and a little spicy. says. We expect to see this making waves this Spring. 2. Expect a return to Lady Di ‘do’ in 2013: updated version with short layers and faded-in regrowth. It should be worn slightly undone, with a natural texture and lots of volume. 3. Kate Middleton’s take on the Farrah flick is one to copy in 2013. It should be done with beautiful, thick long layers, a nod to the 70s through the fringe and middle part.